Benjamin F. Mitchell was the property’s first owner and one of Alberta’s first surveyors. #YEGFilm, Edmonton’s premier accelerator for emerging film, video, and interactive media artists is hosting Evening Light Gallery – a pop-up garage gallery happening every Thursday from 7 to 9 PM between May 30 and August 15, 2019. #YEGfilm seeks artistic and cultural submissions on surveys, surveyors, and surveying for Evening Light Gallery. 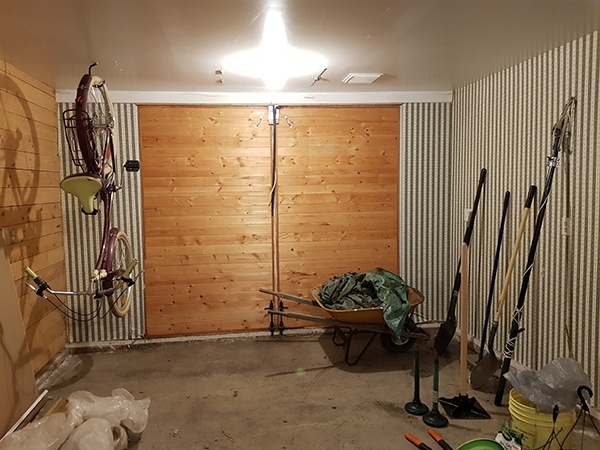 The useable garage interior space is 12 feet wide by 15 feet deep and has multiple lights and electrical connections (see photos below). The exterior space is 12 feet wide by 10 feet deep. Artists would have the opportunity to program the garage gallery over 1 or more Thursday evenings with relevant content in a medium of their choice and practice, including, but not limited to live theatre, dance, music, painting and sculpting, writing, performance, interactive, film/video, digital art, spoken word, community art, and mixed-medium art. Any relevant submission is acceptable as long as it does not promote excessive hatred or violence, or alter the garage’s structure or finishings. 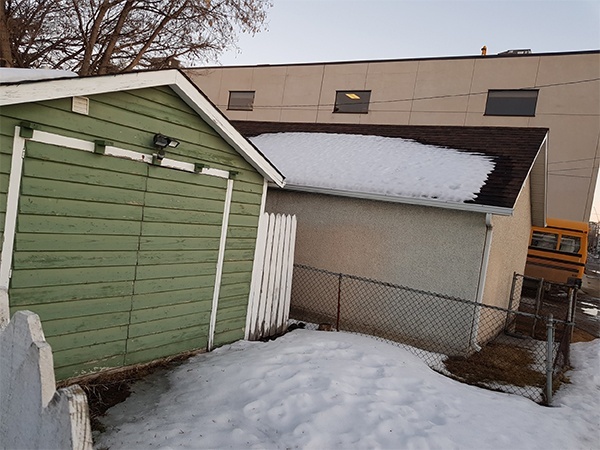 Garage exterior facing laneway with exterior space. Main doors can be opened or closed for programming. Visitors will access garage from laneway. Garage interior to be emptied, except for tires, before programming. 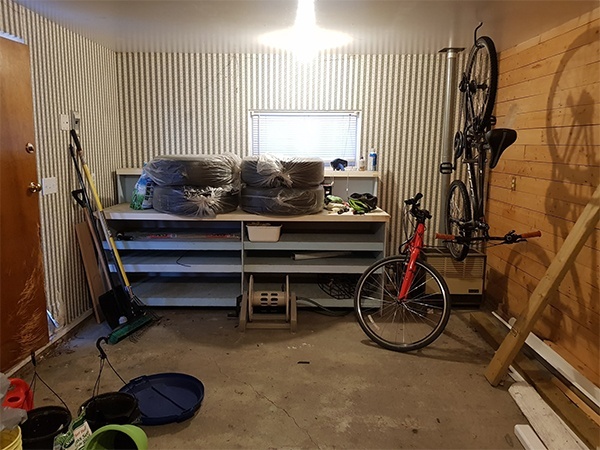 Garage interior to be emptied, before programming. Main doors can be opened or closed for programming. #YEGfilm will judge applications based on their originality, fit or critical engagement with the survey theme, ability of the artist to carry out the project, and whether it features new and diverse voices. Indigenous artists, as well as artists from Inglewood and Westmount are especially encouraged to submit applications. There is no submission fee or gallery rental fee for exhibiting in the space. Successful artists will not be paid an artist fee but can keep 100% of admission fees, tips, and canteen revenues (if their application includes a non-alcoholic snack bar) collected as part of the exhibition. #YEGFilm is in the process of securing sponsorships from which any revenues will be passed on to the artists. A proposal of no more than two pages detailing the project, its significance, and its activities plan including estimated set-up and tear-down time. Resumes of the proposal’s principal artists and a list of names of all associated volunteers and staff. Photos and/or videos of the proposed work (if previously presented) or similar works. A list of at least 3 preferred and alternate exhibition dates. Any other support materials the artist feels will help their application. Artists will receive a decision notice with exhibition date(s) by May 3, 2019. If interested, please send proposals with “Evening Light Gallery” in the subject line to adam@yegfilm.ca by April 26, 2019 for exhibition dates between May 30 and July 4; and by May 30, 2019 for exhibition dates between July 11 and August 15.